My contractor came in today and laid out the final timeline for the project. I should be done on August 25th- 9 weeks from the start date. So it has taken longer than planned, but at least the kitchen is usable. To prove my point, tip # 9 is: Act like things are normal and take on a cooking project. 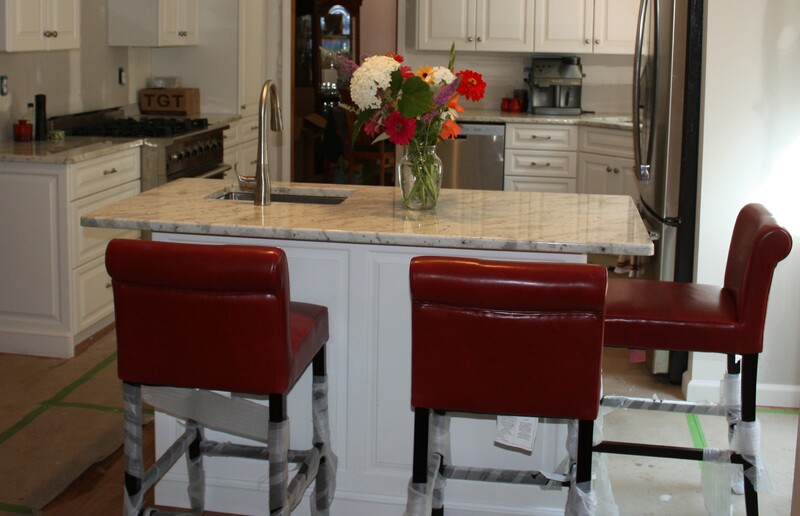 Whether the project is cooking a fancy dinner, using real dishes instead of paper plates, or the strenuous but necessary endeavor I undertook, it will make you feel good about your makeover so far and help you realize it is worth the extra wait to get it done. 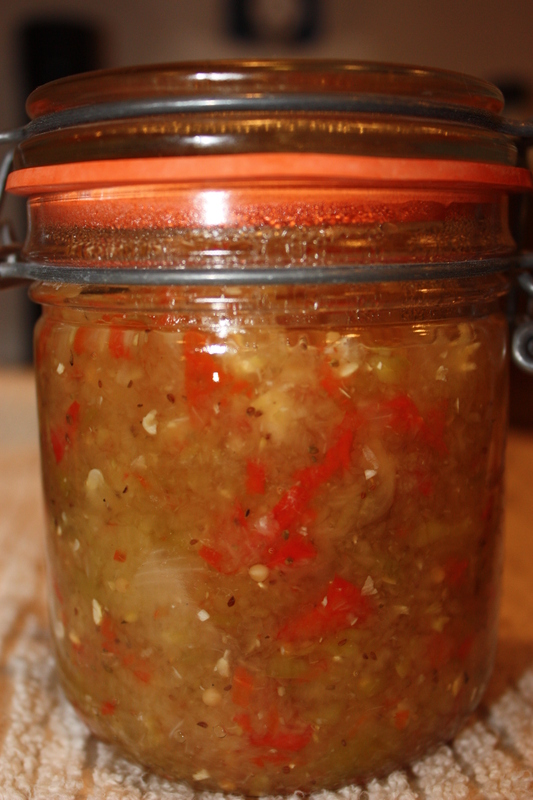 My project was to use the abundant zucchini in my garden and make zucchini relish. That involved a complex process using my Cuisinart food processor, a dutch oven, my canning tools, ball jars and other supplies buried in my boxes. I uprooted everything I needed and got started. The procedure flowed smoothly and I had plenty of space to work. 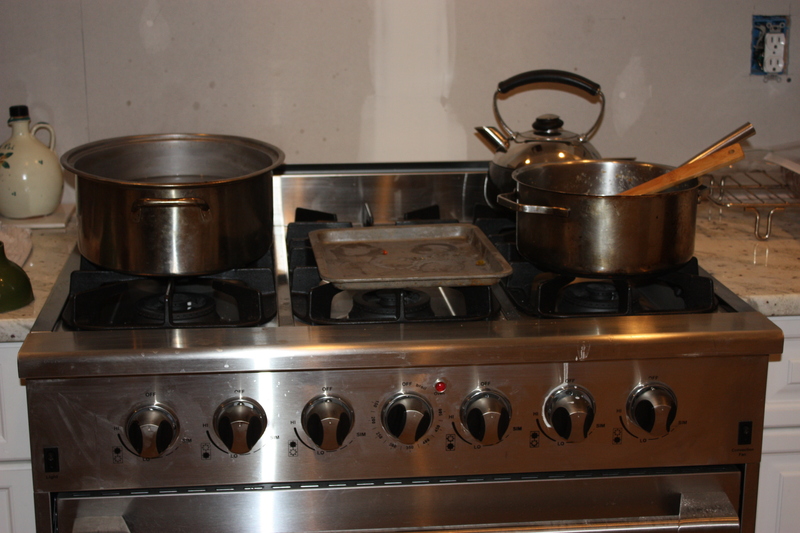 The 6 burner NXR gave me plenty of room to set up my stations for cooking, sanitizing, loading and steaming. 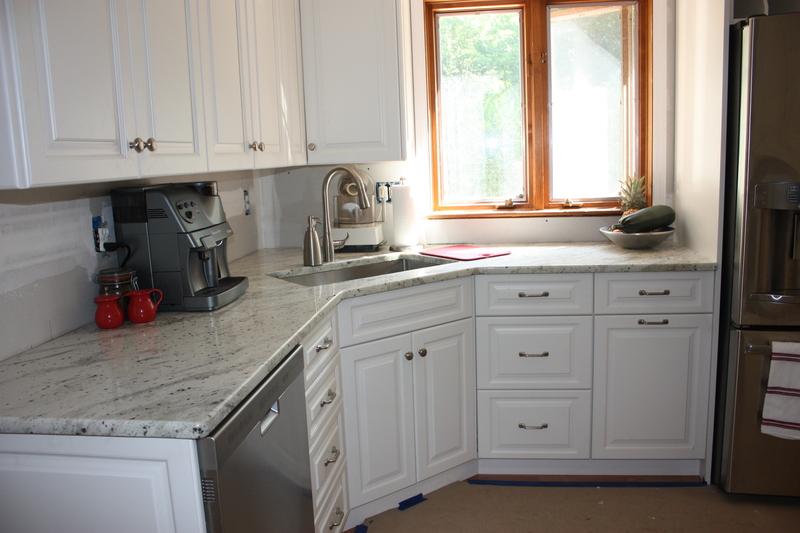 Plus it was nice to have the granite countertops so I didn’t have to double layer the counters for boiling hot jars. 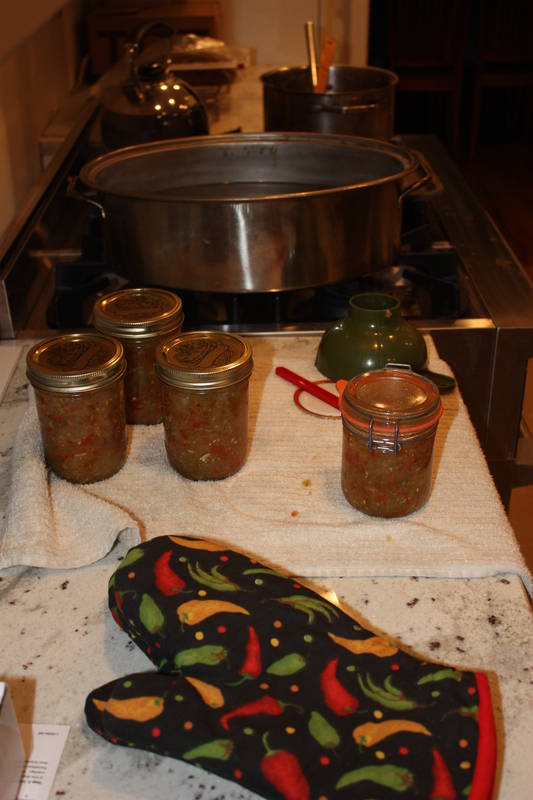 I did start small scale because I really didn’t want to make a huge production until I tested everything out, but I ended up with 4 jars of zucchini relish (one for the fridge, 3 for long term). My grandmothers would be proud of the tradition; but, I used a recipe I traded with my pediatrician years ago when we discovered a common love for gardening- so I think I have all my bases covered. I don’t really have another tip today, but I do want to update everyone on the progress. Obviously it is moving at a much slower pace. The backsplash tile just came in but now needs to be installed. The range hood will be installed after the tile. 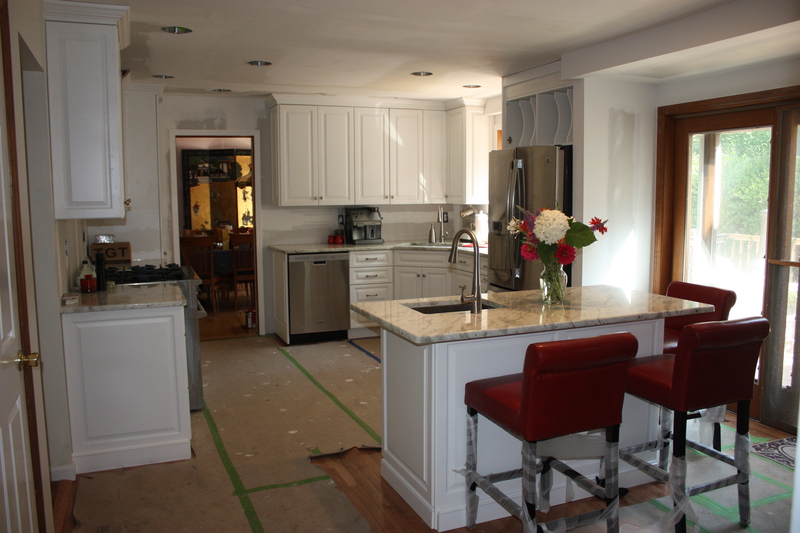 The trim and light fixtures still need a little work and a few cabinets have to be finished off. So not a lot to do, just a matter of coordinating worker schedules so we can wrap this up. 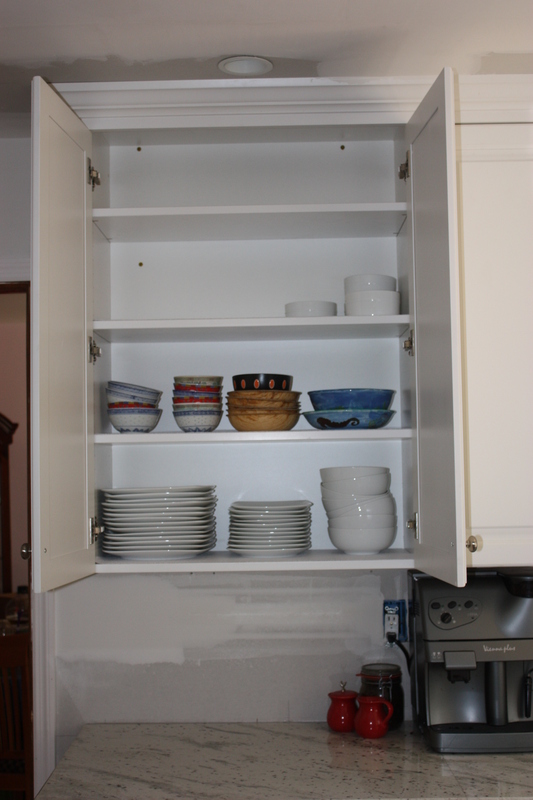 In the meantime, I decided to start moving dishes into cabinets. Notice all the extra space? Of course, the coffee maker has now been relocated to the kitchen. 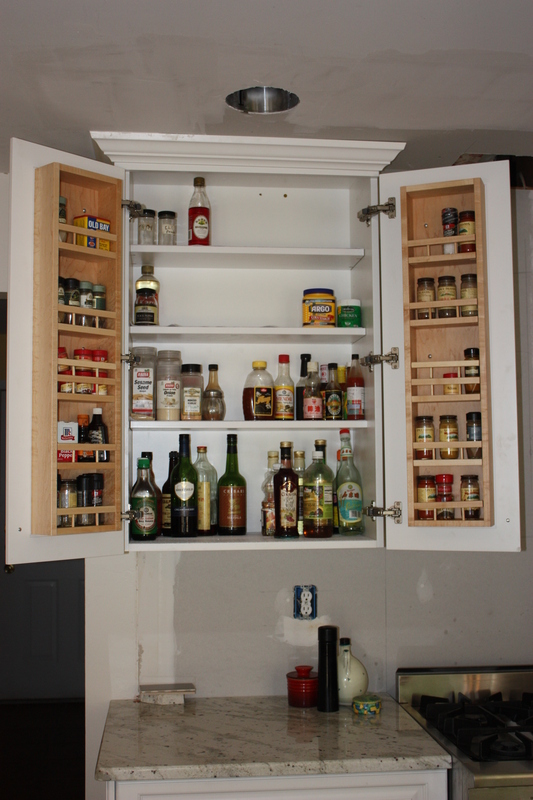 My husband had fun organizing the spices, cooking oils and condiments. I think this cabinet is really cool! My stools arrived and, although I was doubtful at first because they are slightly larger than I realized, they are so comfy and I can picture spending many mornings, evenings and cocktail parties sitting in them, or at least guests sitting in them while I cook. Finally, we have been cooking and eating on real dishes, using the dishwasher and microwave. And I even collected a bouquet of flowers to make things feel more like home. I’ll have to move a few things when the tile work is being done, but until then I am just trying to enjoy as much of my new kitchen as I can.